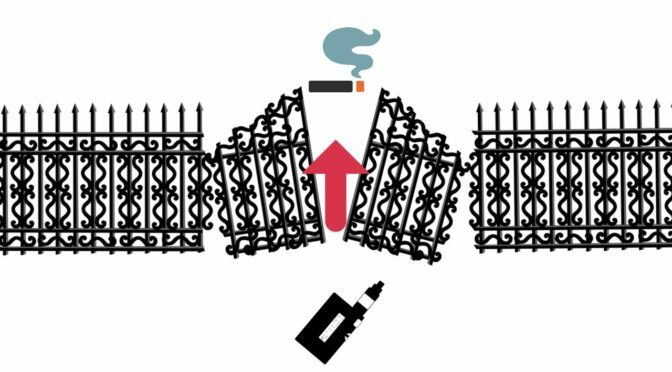 There are already many studies that show that vaping is not a gateway to smoking, but this most recent study is probably the largest one yet. This study was performed by researchers from The University of Stirling, the UK Centre for Tobacco and Alcohol Studies, Cardiff University, Action on Smoking and Health (ASH), and King’s College London. There are no reported conflicts of interest. The researchers start out their introduction with the question of why some studies have suggested that vaping might be a gateway to smoking yet they fail to explain how this can be true when youth smoking rates continue to decline. They provide some possible explanations, for example, that some of these studies have such small sample sizes that they don’t translate to large populations or that these studies can’t account for other factors in their lives unrelated to vaping that might result in them smoking later. They also point out a common flaw of previous studies that only look at “ever use”, meaning that a person has ever vaped, not if they are regular users. So they went into this research knowing many of the flaws of previous studies, which is great. The Scottish Schools Adolescent Lifestyle and Substance Use Survey. All combined, this data consists of results from more than 60,000 youth. The results show that while ever use of electronic cigarettes has gone up from 7% in 2016 to 11% in 2017, regular use of e-cigarettes has not changed from 1%. So basically, trying an e-cigarette is not converting youth into regular users, which in turn shows that they are also not turning into smokers. And regular use of e-cigarettes are at the most 3%, the majority of them are current smokers, while use among never smokers is very rare. One of the researchers, Linda Bauld, came onto the Regulator Watch show to talk about the study and she says that “ever use” just isn’t a reliable metric to show that kids will become smokers, but tobacco control groups and the media seem to latch onto those studies when they really shouldn’t. The researchers closed out the study by saying that it’s important to differentiate vaping from smoking because they are different behaviors and that from a public health point-of-view, vaping is most useful to deter smoking or to support quitting smoking. Some of the links on this site are affiliate links, which means that – at no extra cost to you – I may receive a commission if you purchase from them. It helps to keep this blog, podcast, and YouTube channel alive. That said, I would never deceive anyone into believing a product is good if I don't believe so myself. Visit my Vape Giveaways page to find a bunch of giveaways from around the web. If you like what I'm doing, I would love your support! Every little bit helps and I'd love to be able to keep doing my podcasts, vlogs, and reviews. My name is Alex and I started using electronic cigarettes as an alternative to real cigarettes on July 25th, 2010. I quit smoking entirely about three months later and haven't smoked since. It's my goal to help other people learn about vaping too. Giveaway For the Mimic Pod Device!